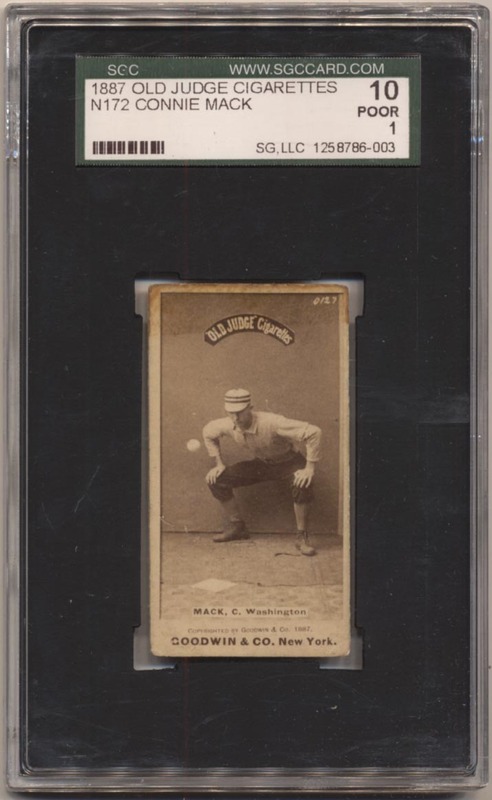 One of the most classic Old Judge cards, how neat is it to have a true playing career card of the legendary Connie Mack? The image is of OUTSTANDING clarity and quality, the 1 grade is due to the usual back issues. The front of the card has a wonderful image of Connie Mack stooping to catch a ball floating in mid-air. You have to love his uniform, especially the striped hat! The borders are clean, there are no creases, there is some toning or other slight issue by the top border.